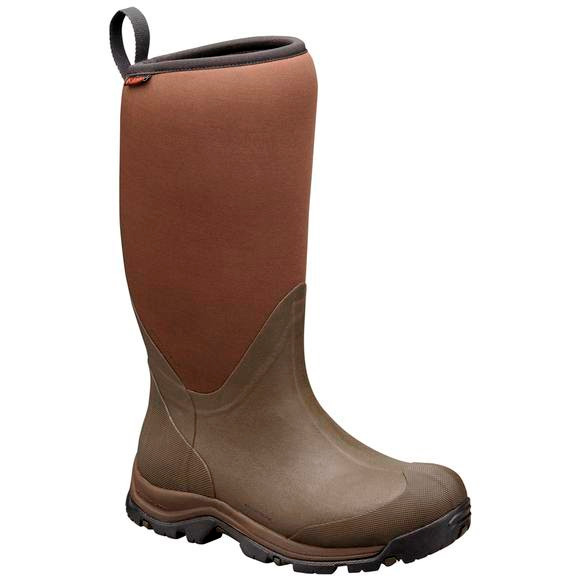 Waterproof and toasty warm, this rugged pull-on boot from Columbia excels in the face of snow, mud, slush, rain and everything in between, featuring lightweight cushioning for all-day comfort and a thermal-reflective lining, which reflects your body heat for improved warmth while still promoting breathability. Techlite™ lightweight midsoles deliver immediate and long-lasting superior cushioning and higher energy return. Omni-Grip™ is an advanced traction solution with specially formulated compounds and treads that ensure stability, and the right grip, for every environment.